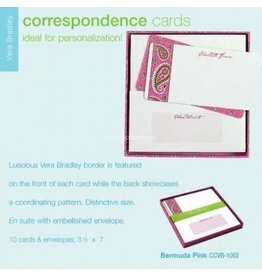 En Suite with embellished envelope 10 cards and envelopes 3.5 x 7 Vera Bradley Stationary and Organizer Gift Sets by Lifeguard Press. Vera Bradley Stationary and Organizer Gift Sets by Lifeguard Press. Take Note Sets by Vera Bradley. Being organized never looked so good! Composition Book College Ruled and Perforated 6.5 x 8.75 Vera Bradley Stationary and Organizer Gift Sets by Lifeguard Press. Being organized never looked so good!